Authorities have recently banned climbing in my favorite site "for safety reasons". This is, in my opinion, unfair, and was done for unknown political reasons. What can I do to hopefully change their minds so that climbers can continue to access the site? Also, what proactive/ preemptive things can I do as a climber so that this doesn't happen in other climbing areas? Access to climbing areas is an ongoing issue in many climbing areas. In the United States for example, it is claimed that 1 in 5 climbing areas is threatened by an access issue. There are many funds, societies, and advocacy groups who work on behalf of climbers to protect public access to climbing areas, to keep them open to the public for recreational climbing. Try searching for an access group that works in your area. The issue of access is not always so simple, as there can be multiple factors to consider when it comes to certain crags. Around where I'm from, there's pretty much open access to everything, because most of the climbing areas are on crown land. There are however a lot of cliffs and boulders that are on private land, and private land owners have the right to prohibit trespassing on their property. The biggest concern with climbing on private property in some countries is liability. In North America for example, If someone gets hurt climbing a private crag, then the landowner is legally liable, and can be sued. Most land owners prefer to restrict access to their lands instead of risking the possibility of even one lawsuit. Local authorities are especially likely to restrict climbing on municipally owned lands, because they are regularly subject to a plethora of ridiculous claims (people frequently sue towns and cities because they can't be bothered to be accountable for tripping over their own feet on the sidewalks, and hurting themselves). In the USA this is especially common because in many cases suing is the only option an injured person has for paying their hospital bills. One sensitive issue with a lot of climbing areas is the presence of native art on the rocks. I know of several areas nearby that are prime climbing areas, but climbing there is somewhat controversial because it can do damage to the ancient art on the stone. Access to areas where native art is present is often restricted, and it just so happens that in most places where native art is preserved on stone, the rock is prime for climbing. If climbing has been banned at your crag "for safety reasons" then it sounds like a local authority issue, in which case your best chance of restoring access is to partner with a access group, and petition the local authority. If you can show the authority that an area can be responsibly climbed, then they may work with you to open access to climbing. Talk to the CAO or City Manager about presenting to your council, that should always be your first course of action when seeking change in a policy in a municipality. As far as preventing access issues, what you need to do is demonstrate that the area is being used responsibly. Leave No Trace ethics will ensure that no flags are raised about improper use of an area. I've seen crags full of garbage and covered with graffiti. There's a now-popular climbing area close to where I live that used to be closed to climbing. The Town of Frank in Alberta used to prohibit people from climbing on the millions of boulders which were the result of the worlds largest rock avalanche, that buried most of the Town early in the 20th century. I remember when signs used to be posted on the side of the road telling you that climbing on the rocks was prohibited. Today it's a renowned bouldering area with thousands of established problems, with more new problems being established almost weekly. 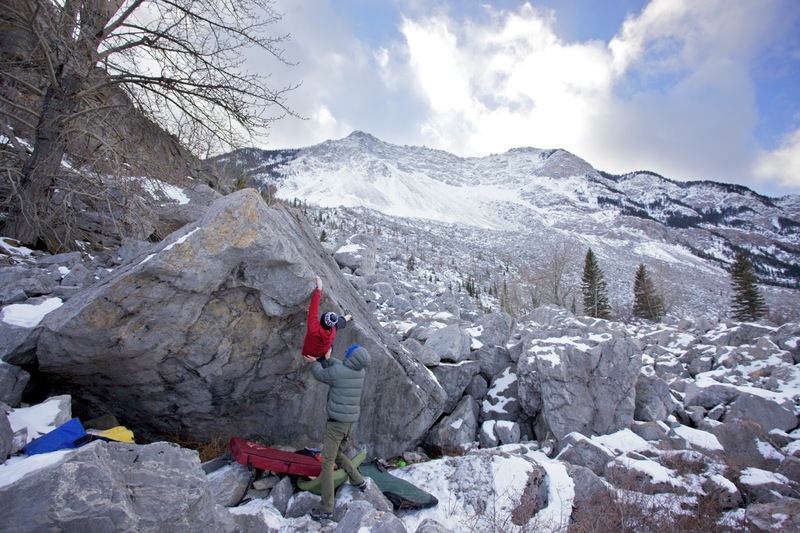 Access was granted after it became clear to the municipality that bouldering was a huge tourist attraction, and promoting the area attracts a lot of tourism and benefits local businesses. As an individual, probably very little can be done, but what little you can do is essential. Ensure yourself and anyone you climb with obeys rules and climbs safely, and most importantly, is seen to do so. Be considerate to other users of the area as very often the "Safety" card is played but the root cause of bans is often other reasons. I have experienced situations where a few climbers with a sense of entitlement have meant crags that would have been open with a "Please" and "Thank you" have remained closed for years. It may not be fair, but just one person breaking the rules or obeying the rules but being a A.Hole can be enough to close a crag with access problems. As a part of the climbing community, you have more power - where you can ensure other climbers follow the above advice and separate 'climbers' from 'cowboys' in the publics eye will help. If 'climbers' are seen as safe and socially responsible, but not all people who climb are 'climbers', then doors can be opened. Where I have seen sites put into jeopardy have been concerns that allowing climbing exposes the land owner/manager/responsible person to legal consequences if things go wrong. In this case, legal advise clearly showing who is responsible and who is not may help. If the land owner/manager is legally accountable for an accident, you need to consider their position, and accept that maybe the problem cannot be solved. In this case, it will come down to the ability of a strong national organisation to have laws clarified or changed - slow and expensive. I think that it is easier to keep access, than to get it back, so I will start with that. Always follow Leave No Trace and make certain that your activities do not create any eyesores. Volunteer to help pickup after other people and clean up the trash they leave. Protect the reputation of the climbing community, always be safe and do not hesitate to speak up if you see someone else acting in an unsafe manner. Join or donate to the Access Fund as they are one of the leading organizations in this area. The Access Fund has a page to report these kind of issues, and they may be able to help. It may be worth getting a petition started or attempting to get a more in depth answer from the authorities. Losing access is not a good thing, but at the very least I would spread the news so that more people are aware of the issue. Then it might serve as a wake up call for unsafe/disrespectful people. Not the answer you're looking for? Browse other questions tagged rock-climbing access-rights or ask your own question. What to teach someone who wants to start lead climbing? Why are eye friction hitches not commonly used in rock climbing? With what specific techniques are various bouldering grades associated?